OK...from now on, if you have multiple GOFOBO passes for the same movie, please just release them back to GOFOBO if you are not attending the movie. Just post to the group that you released them. When you RSVP to a film and not use that pass, you are keeping someone else who really wants to go from having access to those passes. It's unbelievably irksome when folks have a laundry list of passes that they are holding and not going to use. If you don't like scary movies, then don't pick up that pass. If you have to work that night, don't RSVP on it. This is one of the many rules that keeps this community running smoothly and we appreciate that we are not deleting as many of your posts as we had previously. So, don't ask for passes that are not yet available, enter contests on your own, don't take passes that you cannot use, keep personally directed emails OFF THE LIST, behave at the screenings because you will be 86'd, don't rip off reserved signs on seats and make your self comfortable, don't get testy if you arrive late and can't get in the screening, don't talk and be a distraction at screening, and turn off your cellphones. The issue of the week has been addressed before, but we are going to drum it into your heads again. Please, please...PLEEZE! Enter the contests on your own and don't beg others for passes that have not been distributed. You can tell just like anyone else by going to a website that it usually says when the passes will be awarded. If you don't win after that date, then, and only then can you ask if anyone has a spare. Right now we are doing a courtesy of sending you a note informing you of this policy. Soon we just just delete your post without comment. Also folks are getting passes on GOFOBO just to exchange them for something else. Well STOP IT. If you do not plan to attend the screening, don't reserve the passes. Let someone else who really want them have it. They are not there to dangle like a carrot to get a pass for something else. Another thing, if a screening is full, please don't save a seat for someone else that has not arrived. The people who run the screenings need your cooperation to fill the theaters with people who are waiting patiently and hopefully. If your party isn't there when when it's time to get in the theater, then tough luck. That's the way these screenings work. First come first serve. Of course this doesn't give line people carte blanc to demand seats when someone leaves for the concessions or the bathroom. And it means you DON'T EVER remove the reserve sticker on seats and make your self comfortable. If that seat was not reserved for you, then get the heck out of it. When you do get kicked out of it, then resist the urge to argue with the screening reps because there's no seats left. There are two screenings listed on GOFOBO for Dallas, but no theaters are listed. If anyone has any info on those "to be announced" theater listings, please let us know. 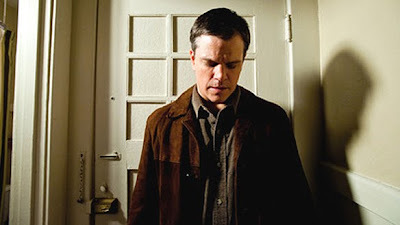 Hereafter is a drama that follows the lives of 3 people and the question of “What happens after death?” (Matt Damon ) George Lonegan, a working class American who has a psychic ability and looks upon the psychic part of this life as a curse not as a gift. George got his ability after having brain surgery as a child. George’s brother Billy (Jay Mohr) a fast talking hustler always trying to take the easy way to a quick buck. After George gets laid-off from his blue-collar job moving sugar in a warehouse his brother tries to market his ability. But, George can’t live a life full of death. So he goes on a trip to London to see the place of his favorite writer Charles Dickens. Marie Lelay (Cécile De France) a French political journalist and anchorwoman is on vacation in a small beach town in Indonesia. But unknown to her a massive tsunami is on this way. As she is shopping in this small town for a gift for her boyfriend kids. She is dragged under water and fleeting death, She has a has a near-death experience, and is brought back to life by CPR. This near-death experience shakes her to the core. She goes and writes a book about her experience of the afterlife. Jason and Marcus (George and Frankie McLaren) are twin brothers who both had a hard life in the working class of lower London. The boys' mother Jackie (Lyndsey Marshal) is struggling with a addiction and the boys cover up for her with the social worker. After the social worker visits Jackie decide to get clean. She sends Jason to the local shop for the drug to get her clean. On the way back home from the shop. A group of boys take his cell away. Jason runs away from the boys in the street when he gets hit by a truck and is killed. After the death of her son Jason, Jackie can’t take the lost so she gives Marcus up to get help with her addiction. Marcus is having a hard time without his brother Jason who was the outgoing of the two. Marcus clings to his brother, even going as far as wearing Jason’s baseball cap. Marcus is desperately looking and needs answers as to why his brother had died and what he should do next in his life. George goes to the home of Dickens in London. He sees that his favorite vocal reader of Dickens is reading at the London Book Fair. Where George runs into the other lost souls in this story. The story is George needs to look at his ability as a gift. For Marcus its about he is never alone and his loved ones are around you at all times. For Marie its if you feel like you are right go for it. 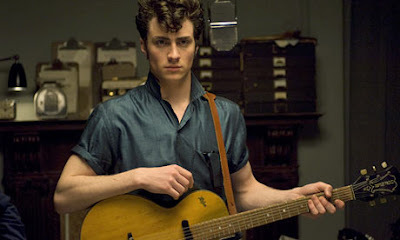 Clint Eastwood (Director/Producer/Composer) of Hereafter. Clint Eastwood really does a great job as director for this film. 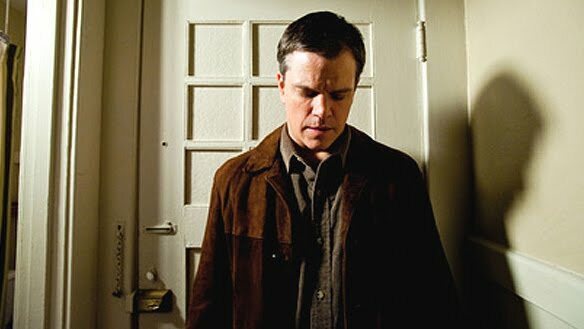 This is the second time that Matt Damon was directed by Clint Eastwood. The score to this film really flows. This will be the 6th time Clint Eastwood has composed the music for his own film. The shooting location in Hawaii, Paris, San Francisco & London. The Hawaii was used for the massive tsunami tears . The scenes was shot in Clint style of directing. Peter Morgan (Screenwriter/Executive Producer) did a get job writing on this film. He is best know of his work on the “The Queen”. The film is a good “b” rating with a nice flow to it. The scenes are filmed in a beautiful way. The music keeps you watching the screen every second. I would not get up and leave and it kept me in my seat. In 1983 Kenneth Waters was charged with the murder and robbery of a next door neighbor for which he was convicted and incarcerated for life. Convinced of her brother's innocence, Betty Anne Waters completes her GED so that she can go to college and law school so she can free him. Hillary Swank portrays Betty Anne with all the earnestness and sincerity of a working class mother from Ayers, Massachusetts with the same grit like in her previous roles playing real life people. Her all encompassing single minded passion at keeping the hop alive for her brother breaks up her marriage, and her boys move in with their dad and his new girlfriend. Betty Anne befriends another classmate Abra Rice (Minnie Driver) who insists that they become aligned as they are the oldest people in their class. With Abra's assistance in discovering new DNA evidence and with the help of Barry Scheck (Peter Gallagher) of the Innocence Project that aids those wrongfully convicted, Betty Anne wins Kenny's freedom after 18 years. Actor Tony Goldwyn best known from Ghost but more recently as a director of TV shows likn Justified and Damages stages a linear story with a few flashbacks of their childhood to explain the closeness of the siblings. 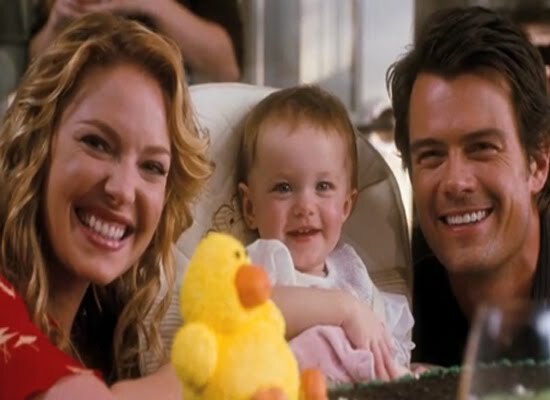 The were 2 of nine children born a year apart all from different fathers. They were co-conspirators skipping school, stealing candy and breaking into neighbor's homes to play house. Screenwriter Pamela Gray (A Walk on the Moon) keeps the project from being just another underdog movie of the week. It also skips over how Betty Anne who works at Aidan's pub as a waitress (later in life she becomes the general manager) can still go to college and law school and raise two sons. All the while visiting her brother in prison who becomes sullen and violence prone and eventually tries to commit suicide. It is also unclear as to why the two main witnesses for the prosecution Roseanna (Juliette Lewis) and the mother of Kenny's daughter Brenda (Clea Duvall) had lied during the trial. There is some implication that the arresting officer Nancy Taylor (Melissa Leo) had threatened the women to do it but for reasons that are unknown in the story. 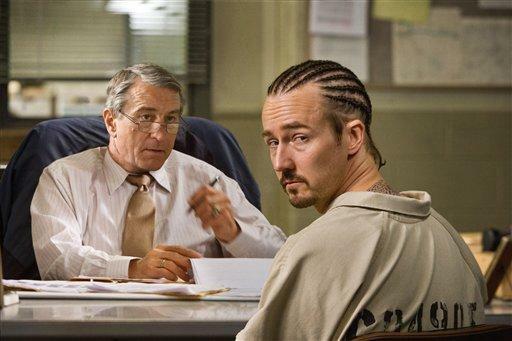 Swank and Sam Rockwell as Kenny Waters do a credible job with passable Boston area accents. Her devotion to her brother's case is inspiring in the face of everyone's insistence that she let it go and get on with her life. Today the real life Betty Anne Waters does not practice law but besides the pub she continues to work as an advocate with the Innocence Project to help people wrongfully convicted. It's also bitter sweet that six months after Kenny was released from prison that he died after hitting his head while taking a shortcut home. Jack Mabry threatened to toss his child out the 2nd story window when his frustrated young wife declared that he was killing her soul and she was leaving him. He apologizes and pleads with Madylyn not to leave him. Now married after 43 years, their daughter living in another state with her own family, Jack and his wife fill their days mediating on Bible passages, listening to Christian radio talk shows and drinking bourbon. Jack (Robert DiNiro) has only a few short weeks before retirement at his job accessing prisoners as to their readiness to be paroled. He's beaten down by the drudgery of his job and the lack of meaning in his life. One of his last cases is that of Stone Creeson (Edward Norton) convicted in an arson/murder in which he was charged for being an accomplice his is eligible for parole after serving 8 years. Stone is a tough cynical character with a hillbilly accent. He knows that he must convince Jack of his worthiness to gain his freedom, but can't bring himself to play the game. Stone's secret weapon is his beautiful school teacher wife Lucetta (Milla Jovovich). Stone tasks her with using her feminine wiles on Jack in order to get Stone his parole hearing. Lucetta wears Jack down with her sweetness and her charms. Meanwhile Stone is exploring a spiritual cult which at first he wants to use a proof that he's a changed man. Shortly afterwards he witnesses a murder of another prisoner and experiences an epiphany that he announces to Jack that he had a religious revelation. Even Lucetta is confused by the difference in her usually randy husband. Jack feeling guilty and out of control over letting himself be seduced and manipulated by the suddenly transformed Stone. Director John Curran (The Painted Veil) and writer Angus MacLachlan (Junebug) fills the screen with colorless and drab sets and vacant countrysides. Frances Conroy as Jack's long suffering wife lives with the decision to stay with Jack by self medicating herself with cigarettes, alcohol and religion. The constant soundtrack of religious radio stations must mean something, but it's never quite clear. Jack was never a demonstrative type of man finds himself awash with long suppressed emotions. The verbal sparring between Jack and Stone is the only thing alive in the whole film as the two power actors try to create some fire from the ambiguous storyline. There are some amusing situational moments that hold promise, but the buzzing that begins and ends the movie is just that...constant noise and no substance. It just amazing to the Moderators the kind of posts that get sent to the group. We could just let everything go through, but we're sure it would vex folks to no end. For instance, some folks asking for passes for specific days...hello? Thats not how this group works. Do people read the instructions? Does anyone read the welcome letter? Do you not look at the group site for it's resources and calendar? Because we are constantly...and I mean daily deleting posts that will waste your time and tax your brain. Anyone got some feedback on this email the moderators personally...not to the list cause guess what? You will be deleted! Lots of movies this week. Keep the mooching to a minimum and no asking for passes for movies with contests still pending. If you want it enter the contest on your own, for goodness sakes, how often must we repeat this?!?!? Frank Moses lives alone in a suburban house going about the daily steps of living. He even decorates his yard with Christmas themes to appear normal to the neighborhood. The only excitement he gets is when each month he tears up his government pension check then calls Office of Personal Management to say he didn't receive it. It's obvious that he's only calling because he wants to carry on a conversation with Sarah Ross the woman in charge of his account because he likes the sound of her voice. When he suggests he may be coming to Kansas City, they tentatively agree to meet. That meeting turns out to be sooner than expected when his house is suddenly attacked by armed and deadly shooters who completely destroy his home from gunfire. Turns out Moses (Bruce Willis) is classified as RED – Retired – Extremely Dangerous. He slips through the attackers with little problem, but realizes that Sarah (Mary-Louise Parker) will also be in danger. He apologetically drugs and kidnaps her to keep her safe. Meanwhile he looks up some other colleagues Joe (Morgan Freeman), Marvin (John Malkovich), and Victoria (Helen Mirren) who agree to help him find out why they being targeted. On their trail is operative (Karl Urban), a highly skilled and intelligent agent. He is not told why he's after Moses and his crew, but he begins to get a nudging doubt when Moses leaves him little clues as to what is going on. A visit to the secret CIA record keeper Henry (Ernest Borgnine) reveals that Moses and company had been witness to a big cover up that will take them deep into the CIA and the Whitehouse. Preposterous, over the top and deliciously amusing director Robert Schwentke and screen writers John and Erich Hoeber created comic book AARP heroes. Willis plays Willis no matter what film he's in, but he's complimented this time by the marvelously goofy Mary-Louise Parker who he kidnaps to keep her out of harms way. She steals the movie rug out from all the big named celebrity talent. 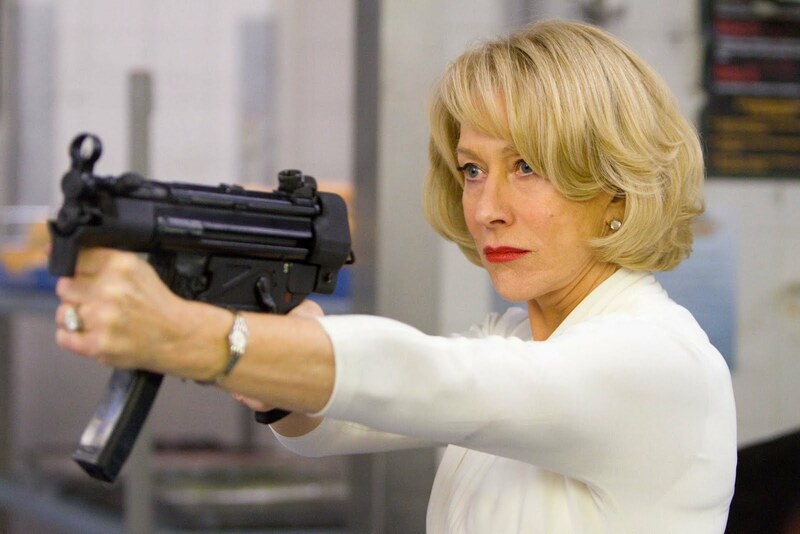 None of the actors really stretch beyond confines of their roles, but Helen Mirren is a hoot as the retired hit woman who still takes jobs on the side while living at her quiet estate. Mirren never looked sexier picking off charging troops with a high powered rifle. The film is playful and ready for hopefully a continuation of more RED adventures. So you have just signed up for the movie group and you want to take advantage of the advanced screenings in the DFW area. Please note that the Yahoo group homepage has many resources for you to help you find passes. The Calendar will show you what's currently scheduled. The Links section will give you the addresses of where to sign up for newsletters, radio stations, and websites that offer passes. You will also find our favorite reviewers and other movie resources. You can also check the old messages to see what's been offered or for contests to enter to win. Please take advantage of this, because requests for passes with contests still pending will not be approved. You must enter the contests on your own. Also the group works well when you share information of a screening that you don't see on our calendar or archived messages. We appreciate everyone's feedback and input. posts when the security guards tell us to get rid of our phones. In 1969 a Colorado housewife Penny Chenery learns of her mother's passing at the Kentucky horse ranch where she was raised. She returns home for the funeral with her 4 children, and lawyer husband to discuss the disposition of the house and horses. Her father suffering for dementia cannot handle the estate on his own. She decides to stay awhile to take care of business and in the process realizes that the race horse business is in her blood. Penny (Diane Lane) falls easily into the rhythm of horse ranch. She fires the trainer who was taking advantage of her parents. She seeks advise from her father's friend and lawyer, Bull Hancock (Fred Dalton Thompson) who recommends French Canadian Lucien Laurin (John Malcovich) who dresses like Superfly and wants to retire. He turns her down until she tells him of the coin toss in which her father traded one of the resulting foals from his two best mares in exchange for stud services from Bold Ruler owned by Ogden Phipps (James Cromwell). Penny and Lucien agree with which colt would show the most promise. Fortunately for them Phipps the winner of the toss picks the other horse. Big Red as he's affectionately known shows great promise. He is named Secretariat after the family's faithful secretary Ms. Ham (Margo Martindale). Penny spends the next 2 years going back and forth from her housewife chores in Denver to running the ranch and getting ready for Red to run his first race. Red doesn't win the first time out but afterwards with another jockey Ron Turcotte (Otto Thorwarth) he wins enough to be named Horse of the Year. After her father passes, the estate is threatened in inheritance tax of $6 million. Her academic brother Hollis (Dylan Baker) and her husband Jack (Dylan Walsh) advise her to sell Secretariat. Instead Penny in a radical move syndicates stud services from her horse that has yet to prove his worth. Her tenaciousness proves fruitful when Secretariat goes on to win the triple crown, three major races whose records still stand today. 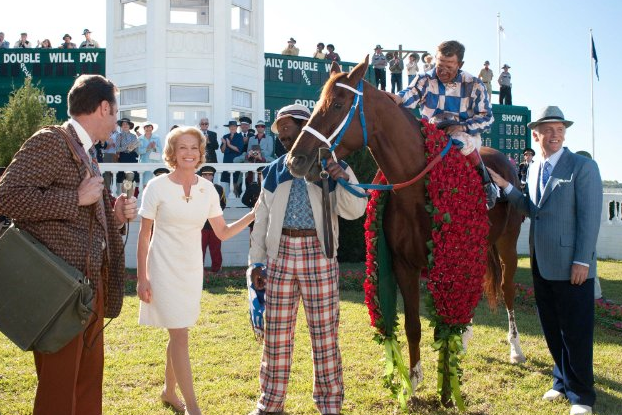 Director Randall Wallace best known for writing Braveheart and writer Mick Rich worked from William Nack's book Secretariat: The Making of a Champion who also consulted on the film. As a Disney film one is sure to get formulaic and instant feel good saga of animal athletic prowess. Diane Lane dressed in vintage Talbot style clothes with perfect hair shoulders the stubborn winning spirit she instills in those around her reflecting her horse's pride and achievement. The conceit of this story is that in the late 60's and early 70's women were still in the early stages of women's liberation and her strength and stick-to-it-ness shines as an example to her family especially her teenage daughters. Lane despite being saddled with greeting card dialogue manages to convey steely hard as nails attitude dressed in a southern ladylike charm. Scott Glenn as her ailing father doesn't have much to do besides offering phrases like “let him run his own race”. Malkovich peppers his character with French swearing and crazy attire. Nelsan Ellis of True Blood is more subdued at Eddie Sweat who spends more time with the horse than anyone else. The racing scenes are well photographed bringing you close to the horse's perspective. Even though you know which horse will win in the end, everyone will walk out a winner. There seems to be a whole bunch of passes being traded and bartered. Which is a nice feature of this group. HOWEVER, please don't take a million passes off of GOFOBO just to use as a trade with someone else. Only enter to win and you can go to the screening, or reserve those GOFOBO if you are planning on attending. If something comes up and you can't make it, then you can trade. Just remember there are times when your name may have to verified with your ID. My advice is if you cannot use your GOFOBO pass, then release those passes back to GOFOBO. It will then be available to someone else. And if you win a GOFOBO code, do not share that code with everyone you know. Partners are only allowed a limited number of passes. Giving it to others will cause the people who actually did win it, not to have access to their pass. Play nice and be fair. Quirk Alert: Sorry about that mail that was delivered late. For some reason everything on that date is showing up on Yahoo. Reminder to newbies: We are a movie group that helps it's subscribers to find the passes for screenings. We don't take "orders" for specific movies. We don't offer money for passes, we don't sell them for money (as found on Craig's List). You must get passes on your own. Use the group pages as a resource for information on screenings. Read the archived messages to see what's available. Check out the calendar to see what's scheduled and the source for passes. Also...if you are offering extra passes, don't wait until the last minute to offer because most likely the moderator's are standing in line and can't approve your posts when the security guards tell us to get rid of our phones. The five eager, wide-eyed children, whose pursuits of a better education are profiled in Oscar winning David Guggenheim’s ( An Inconvenient Truth) doc “Waiting for Superman” have one thing in common. Parents and families who care deeply about them and the quality of education they are receiving. Unfortunately generational poverty and economics has plunked these “middle achieving” students into neighborhoods served by low performing schools so their only choice is to apply to one or two “charter” or “schools of choice” for which the spaces are sadly few and far between and hundreds of applicants are entering the lottery for. Stiff competition indeed. The insinuation is that students in the more affluent suburbs will have good or at least competent teachers and schools by virtue of the neighborhood or district and these children are trapped in inner city LA, New York, D.C. and other metro areas, without much hope of a better future and without much choice as to how to make one. How incredibly sad as we watch caring moms and dads steer children who do care and want better towards horrific odds at a chance for a quality education. I ask myself, why do these children have to leave their neighborhoods to get a quality education. It seems it has been that way for a very long time. The good news is that the doc shows that the Kipp schools have shown that lower income, disadvantaged, minority students CAN achieve in the right setting so now the gates are opened and there are no more excuses. It can be done. It is also universally agreed in the film what makes good schools good. That would be quality teachers. Why don’t all schools have quality teachers? The problem that is insinuated is rooted in governmental beaurocracy and teachers unions in many states who combine efforts and forces to prevent the districts from being able to get rid of poor or low performing teachers and really renovate the system the way educational experts know it must be done. It isn’t hard to see that it is difficult to make mass reforms in a school, much less and entire district when innovations and good ideas get bogged down by local boards, cities, counties, state and federal governments and mandates. Too often I hear in my own school, “The state makes us do it.” or “It’s required by No Child Left Behind.” whether it is working or not. In many states these new ideas, innovations and reforms, if they even make it into the schools are to be implemented by old guard staff, burnt out and retained by a system that protects the low performing, incompetent and un-engaged teacher. One educator spoke of his frustrations over time when he recalled trying to repair the schools in a district he worked for and could not accomplish anything, with hands tied by committees, boards and the government. He was constantly walking through so much beaurocratic sludge and tar, he could not make any headway. Frustrated, he took his skills and ideas to another place, namely Harlem, and created programs that did work, where he was unencumbered by annoying and suffocating roadblocks to educational progress. Similar programs have broken through the oft held notion that the poor inner city child cannot be educated to the achievement levels of the suburban, middle to upper class child. Those children can learn and even exceed their more privileged peers in achievement given the right educational setting. The research has proven it. Barrier broken. The film is intended as a brutal wake up call to America and is meant to make people angry. When looking into the faces of the children who did not get their school of choice, it just made me sad for them. Time to wake up, America. Every child has a right to an excellent education and it is up to all of us to demand it and see that it happens, for the good of the children, their families and ultimately our country. It costs less to privately educate a child that to support them in the penal system so the cost to our government is ultimately too high a price to pay. 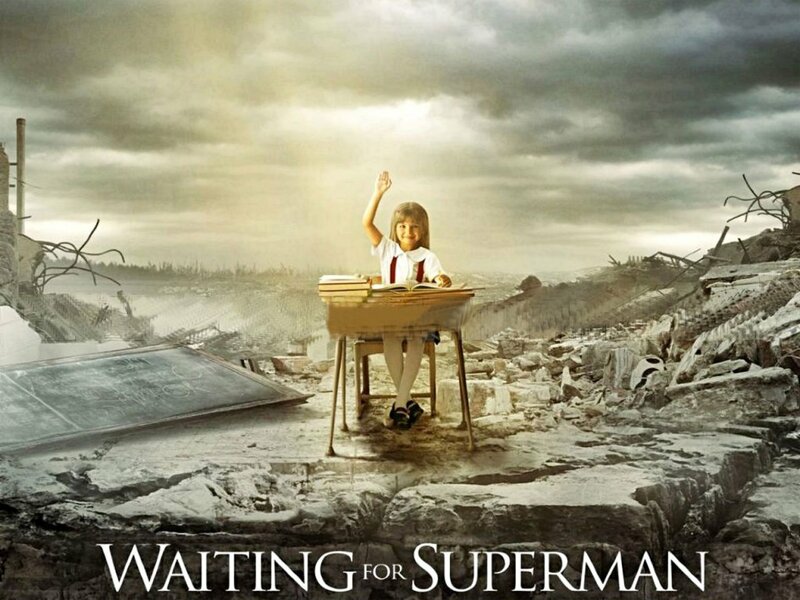 Geoffrey Canada, the founder of the Harlem Success Academy, a much-sought-after charter school in New York City, was disappointed to learn as child that Superman was not real and not coming to save him. That is why he and other dedicated teachers have decided to take on the super task of creating an environment for children to actually learn than from the entrenched and intractable system now in place. The stories follow five students from inner cities and suburbs who have to enter a lottery in order to be selected for the highly sought after spots in the charter schools of their area. Families living in poor sections of town have so many obstacles keeping their children from obtaining a quality education that should be a right for all citizens of this country. The policies of “no children left behind” instead leaves most kids behind by insolvable and archaic teaching methods and assessments. Director Davis Guggenheim manages to address this situation through the eyes of the children and their families striving against all odds. Along with DC Schools Chancellor Michelle Rhee who must overcome her districts lowest eight grade reading proficiency rate in the country. Her fight to streamline and create new policy is prominently featured as well as the obstacles she faces from the American Federation of Teachers union that protect the incompetent and subpar among it's members. It's enlightening to discover that teachers tenure means that bad teachers are swapped from school to school or in New York are sent to the “Rubber Room” where they sit around for 8 hours doing nothing and collecting full pay and benefits.